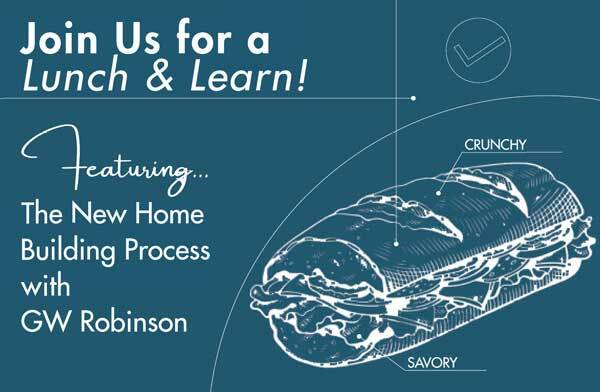 Whether you want to build a brand new home on your lot or in one of our exclusive communities, you're invited to join the GW Robinson team for a complimentary Lunch & Learn seminar to learn more about our luxury home building process. Fill out the form below to let us know you're interested, and we'll be sure to invite you to any upcoming events. Join our mailing list to stay in the loop and get notified of our upcoming Lunch & Learn Seminars! Why Choose GW Robinson Homes?